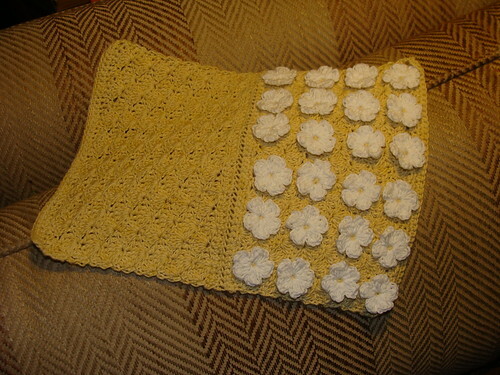 Here's my current project - a cover for a Kindle 3. 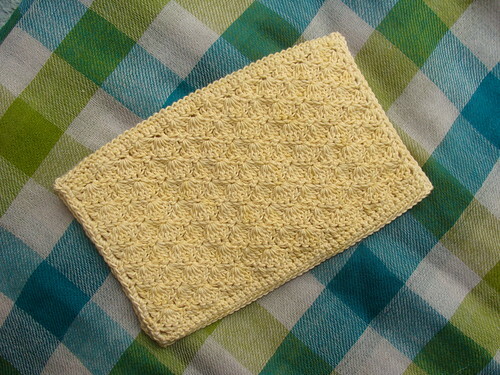 I started with a couple of rectangles to fit the Kindle, pretty yellow cotton in a turtle stitch pattern. 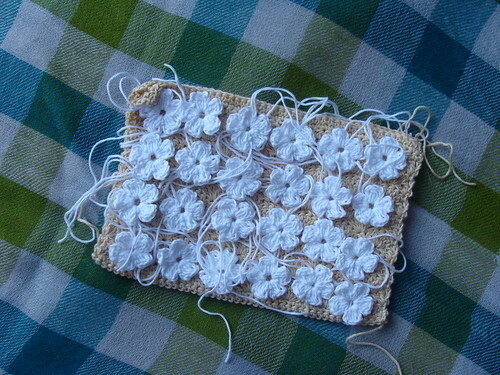 Then I made a whole bundle of little white flowers. They're not really daisies, but I like to think of them as daisies. They all fit on! Yay! It fits my Kindle like a glove. I'm really pleased about that. Now all I have to do is add a fastening. 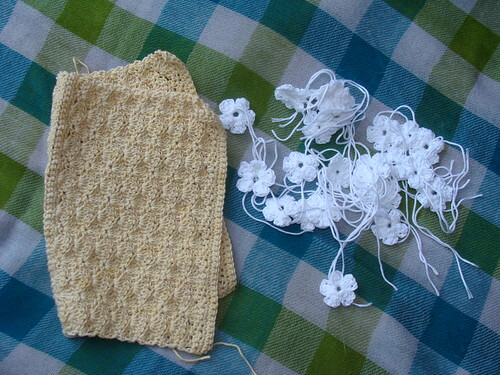 I'd like to make a triangular envelope-type flap using the turtle stitch you can see on the back. Might have to experiment. Then raid the button box. 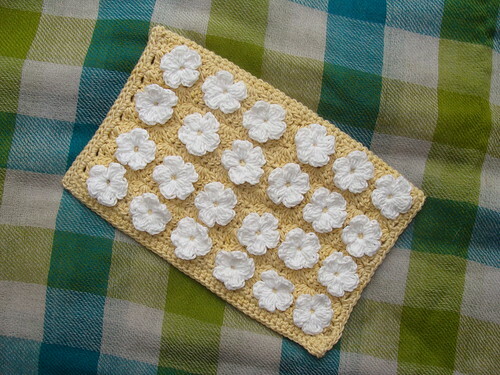 Shell buttons are my favourites but that might look a little bit dirty against the white daisies. Will post a pic when it's done.